Milo Weaver is a "Tourist" for the "Company," an undercover agent for the CIA. And he's a good one. Known as the legendary Charles Alexander, Milo's time in service has exhausted him and suicide is contemplated daily. After an especially tough case in Venice that leaves him shot, Milo decides to say good-bye to his old world and take a desk in New York to start a new life with his new wife, Tina, and their daughter, Stephanie. When an old friend is labeled as a treasonous double agent, Milo has no choice but to clear his friend's name and his own by going back to the undercover life he left six years ago. I was looking for a good spy novel that would take me to the many corners of the world and simultaneously keep me on the edge of my seat. The Tourist certainly did that and more and I was pleasantly surprised by it. It's been a little while since I felt like reading a spy novel (you may recall, I was disappointed with Dr. No by Ian Fleming a few months back), so when I picked this one up at the library the other day, I held my breath. I needn't have worried. While I don't think it's a spy novel breaking new ground, it certainly is extremely effective in sweeping the reader up into exotic locales like Venice, France, and Switzerland and there is just the right amount of heart-pumping scenes where you wonder if people are who they really say they are. My only gripe is (and I'm certain this will sound insensitive, so my apologies in advance) that I was less interested in Milo's family than I probably should have been and was much more content when the pages would move back to the edge-of-your-seats spy scenes. Don't get me wrong, Milo's family provided that needed contrast between the life Milo loves, with the one he is forced to move back into, in order to protect his name and his family, but his wife and daughter just weren't interesting enough for me to be swept away in their stories. I'm hoping that the later novels in the trilogy offer even more depth for them because they both were equally tough characters, and Stephanie was quite the funny, sarcastic child. Milo himself was a thoroughly unique character, and you can't not love a spy who has a slight obsession with French singers from the 1960s. All in all, The Tourist is a satisfying and intelligent spy-thriller that won't disappoint as the whirlwind travel around the world brings you ultimately back to the United States where Milo must trust the very people that he never thought he would need to in order to clear his name. 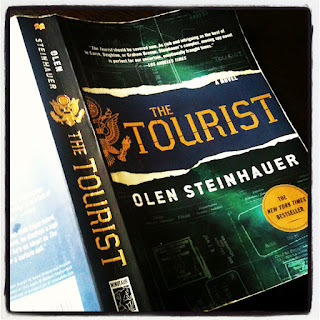 With family secrets and old Cold War events blending with the new threats of today, Olen Steinhauer's The Tourist is an excellent first in a series that will whet your appetite to get the second installment immediately. FTC Disclosure: I checked this book out from my local Virginia Beach Public Library. Olen Steinhauer grew up in Virginia and has lived throughout the US and Europe. 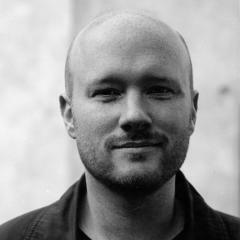 He is the author of The Bridge of Sighs, which began a five-book sequence chronicling Cold War Eastern Europe. 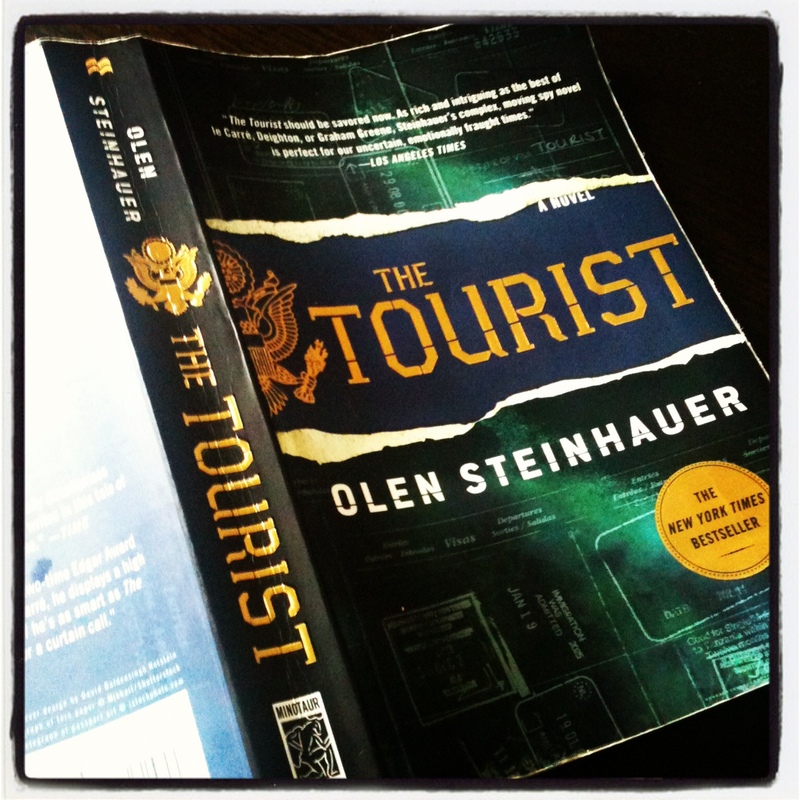 The Tourist is book one in a trilogy. Steinhauer lives in Hungary with his wife and daughter. I love mysteries and thrillers but spy novels are hit or miss for me. This one sounds like a winner! I did enjoy this one and I'm looking forward to the next installment, which I should be picking up soon from the library. Let me know what you think if you do get a chance to read it! I was excited when I saw the "The Tourist" was the titl of your post. Last week I was in the bookstore and a women asked me if I'd read this book because she was curious about it but unsure, I read the back summary and wondered myself. It thought it sounded very interesting so I'm glad you liked it nd it lived up to its description for the most part. WHat a disappointment about Dr. No...I'll keep that in mind, Thanks! It definitely was a good way to pass the time, no question about it, very engaging and quite a page-turner! Sadly, Dr. No just didn't fit for me, but I think that was partly due to the fact that I read that when I hadn't read the others in the James Bond series that came before it! I was under the impression that I could read any of them as a stand-alone, but apparently not! :) Lesson learned! I sometimes find that it's a hard mix putting spy/thriller novels together with family life and/or character studies. Most of the time it's best when a thriller sticks to the thrills, as characters aren't as important there, and they tend to lack a bit. Still sounds like a great story; thanks for the review! I really need to read Ian McEwan, where have I been?! I need to get on it. Oh, Shannon, you are much too kind, thank you! I find I feel much more confident about a review if I can write it AS SOON as I finish reading it, but sometimes I just don't have the time to get to it right away. I try to diligently write it once the reading is concluded, but this isn't my day job that pays the bills, so sometimes I have to get to it when I get to it! :) We all know how that goes! I've seen this mentioned a lot, but don't know if it's my cup of tea. I get so confused by espionage and can't keep track of whose side anyone's on! It's been a while since I read a spy novel, so I know what you mean. This one was not in the least bit confusing, so if you ever have a hankering to try espionage, give this one a try! And let me know what you think!